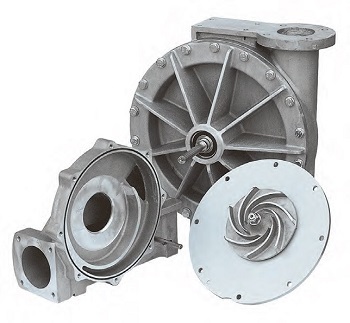 4-speed Italian made gear box: By adjusting the most efficient turbine rotation and speed, you can save energy. Long Life & Simple Maintenance : The units are built from long life components and require a minimum of maintenance. Spare parts and backup service available. 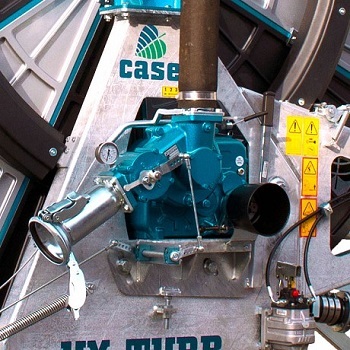 Very low labour requirement : The Cassella HY-TURB-M can easily be operated by one man and the labour consists mostly of driving a tractor. 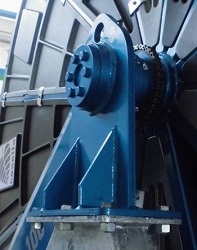 1 - The classical turbine which has been used over 15 years; large diameter and solid aluminium alloy body and bronze impellers with closed blades. Both components have been precision engineered by numerical control lathe for accurate coupling and minimization of pressure losses. Stainless steel shaft with Widia seal ensure a longer life even in the presence of sand and other impurities. 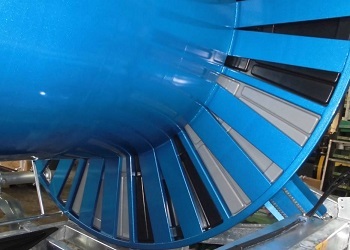 2 - New volumetric turbine conceived for operation with even lower pressure losses and recommended flows over 50 to 60 m3/h. 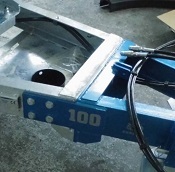 The construction is in die-cast aluminium processed on CNC centre with stainless steel shafts and Widia seal, for operation with electronic compensation for the LT-LLT-LLTS models. 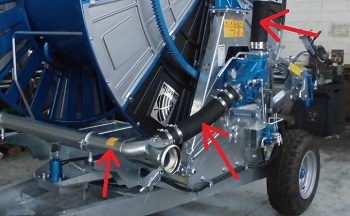 The gear box is directly connected with turbine and ring gear with ultimate technology in order to provide minimum pressure loss and enhanced performance for the hose reel. 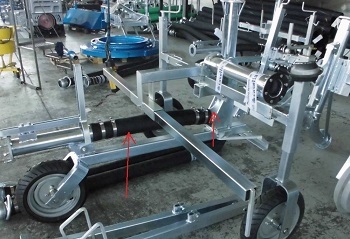 Hydraulic pump and lifting system for trolley. Hose re-winding control 5 to 250 m/h. 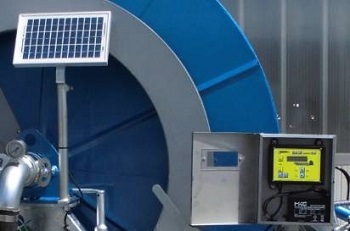 Solar energy powered rewinding speed control panel. Largest diameters on all major connection pipes to save energy. 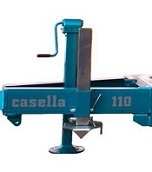 Since 1954 Casella Macchine Agricole has paid attention to quality and service. 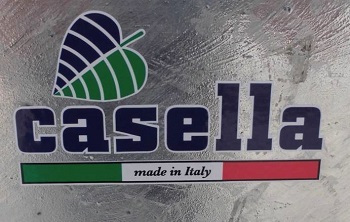 Casella’s main production regards irrigation systems. Casella enitrely designs and produces: hose reels for sprinkler irrigation, hose reels with engine or turbine rewinding, hose reels with integrated motorpump, hose reels driven by satellite/drone maps, motorpumps for water irrigation or slurry/manure distribution, pumps for water irrigation and slurry/manure, underground pipe lines for slurry/manure/sewage/Biogas products distribution with ripper. 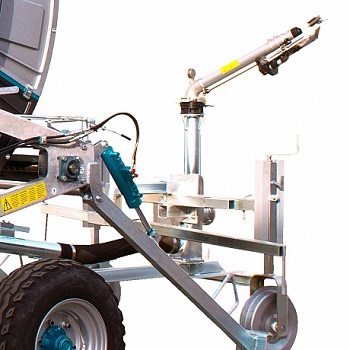 Benchmark in irrigation, Casella is also a leader in vrt (variable rate technology) with fertilizers spreaders for corn, tomatoes, field-crops and vines and special sensors for vegetation idex and environment analysis maps. Thanks to 100 employees, the production includes compactor rolls and wagons. A huge spare parts warehouse, an area of 75.000 sq.mt. 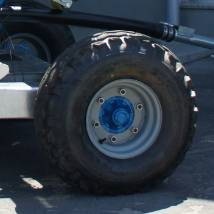 and a timely after-sales service complete Casella’s offer to the world of agriculture. 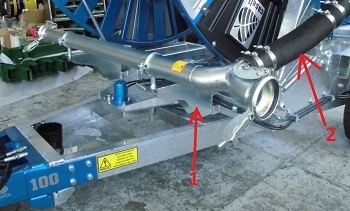 CASELLA aims at developing and increasing the use of hard hose travelling irrigators through excellence and professionalism recognized by our customers who work with us throughout the world. We invest in research of new and improved applications to optimize technological improvements with the objective to increase agricultural production while reducing input costs. 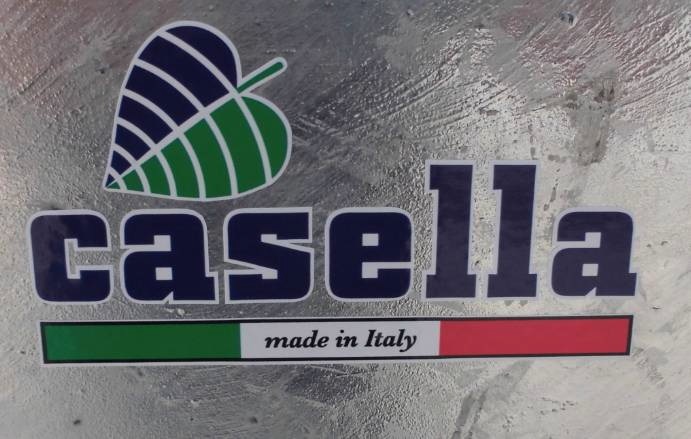 The QUALITY CONTROL SYSTEM according to the UNI EN ISO 9001:2008 standard is the key instrument to pursue CASELLA's objective to maintain the leader position it holds in the irrigation industry in the short, mid and long term.